He is the father of Stephanie Zimbalist. The son of world-famous violinist Efrem Zimbalist and opera star Alma Gluck, Efrem Zimbalist Jr. received an expensive prep-school education in New England, and at age 16 he briefly studied at Yale University. He became a page at the NBC radio studios in New York City, then took acting lessons at Neighborhood Playhouse. Just before serving in World War II (in which he earned a Purple Heart), Zimbalist married another aspiring performer, Emily McNair. After the war, he began toting up Broadway acting credits, and in 1949 made his film debut as Richard Conte's brutish brother in House of Strangers (1949). After his wife died of cancer in 1950, Zimbalist briefly retired from acting, moving with his two children to Philadelphia; there he became a researcher at the Curtis Institute of Music, where his father was director. Shortly after returning to acting in 1954 with a recurring role on the TV soap opera Concerning Miss Marlowe Zimbalist married East Coast socialite Stephanie Spaulding; the union produced a daughter, also named Stephanie, who grew up to become a popular actress in her own right (Zimbalist's son Efrem III has likewise earned a place in "Who's Who" as a publishing company executive). Signed to a long-term Warner Bros. contract, Zimbalist achieved full stardom in the role of suave private detective Stuart Bailey on the weekly TV series 77 Sunset Strip (1958-1964). He went on to another popular Warners series in 1965, playing inspector Lew Erskine in the long-running (nine seasons!) The FBI. 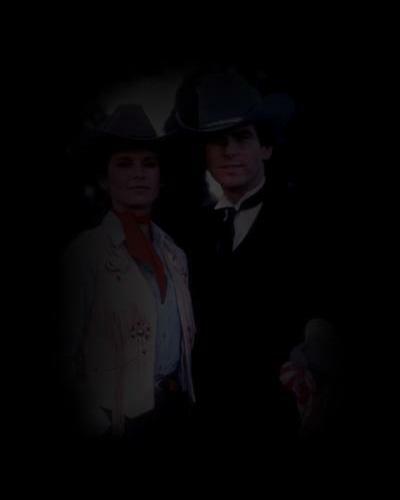 His later TV roles included Charles Cabot in the 1986 episodes of Hotel, Don Alejandro de la Vega in the first-season installment of the Family Channel's Zorro (1990-92), and silver-tongued con artist Daniel Chalmers on his daughter Stephanie's weekly series Remington Steele (1982-87). Generally cast in sophisticated or serious roles, Efrem Zimbalist Jr. has on occasion been permitted to display his flair for zany comedy, as witness his villainous portrayal in the 1990 action-flick satire Hot Shots! Efrem Zimbalist jr. Page by Germano Rossi. 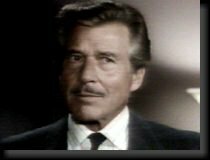 Efrem Zimbalist Jr. on the Internet Movie Database. Mr. Showbiz' Efrem Zimbalist Jr. Page. non-commercial, non-profit use by fans around the world and no copyright infringement is intended.